The shoes of most jigsaws can be pivoted and set at an angle. 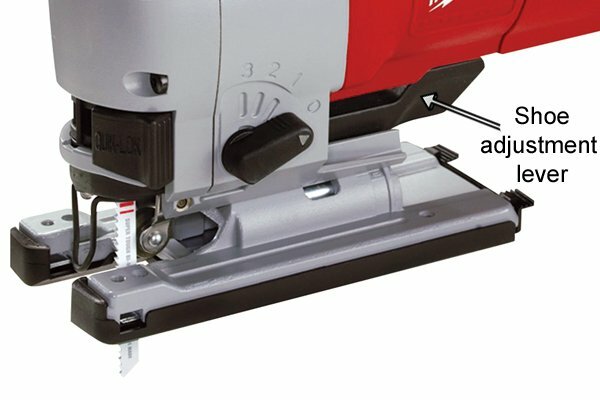 Although it is the base of the tool that is altered, this adjustment actually results in the blade meeting the workpiece at an angle, enabling the jigsaw to make bevel cuts up to 45 degrees. The shoe is usually secured in position by a couple of screws which are tightened using an Allen wrench, although jigsaws with tool-less bevel adjustment are becoming more common. 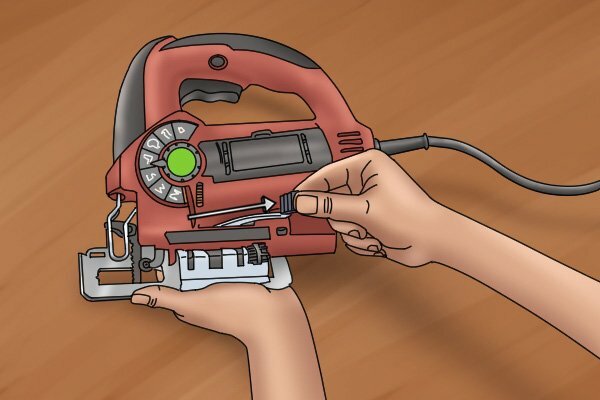 These tools use a mechanism similar to the tool-less blade changing system found on many jigsaws as the angle of the shoe is set using a spring-loaded lever. 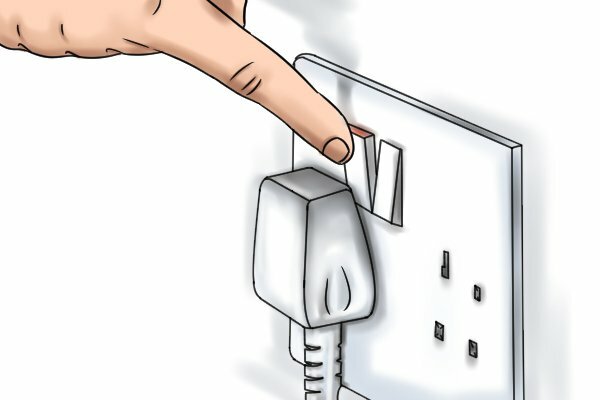 Like when changing the blade, before adjusting the angle of the shoe of your jigsaw, ensure that you have either disconnected your tool from the mains or removed its battery. 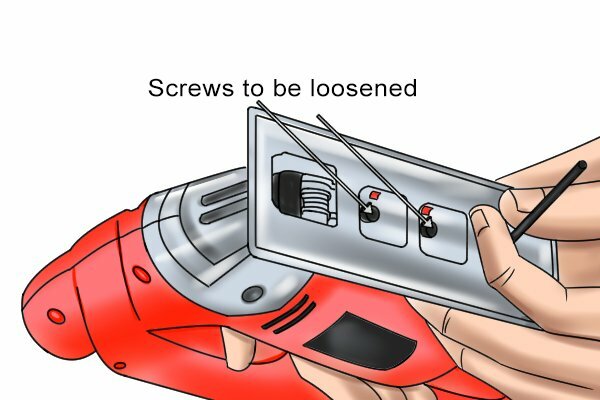 Using an Allen key, loosen the screws that hold the shoe of your jigsaw in position. Pivot the shoe to the desired angle. Most jigsaws have an integrated scale to indicate the angles the shoe can be set to. 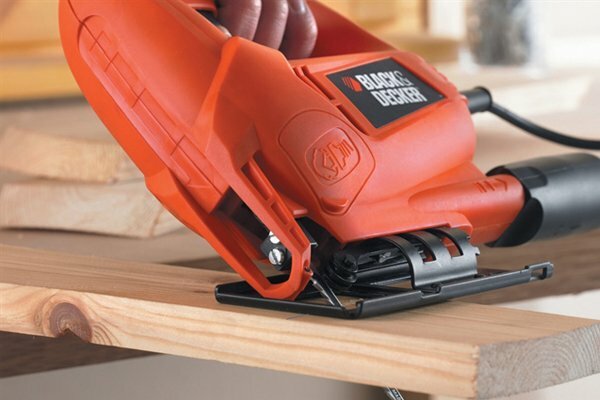 If your jigsaw does not have a scale, you can use a protractor to set the angle of the baseplate. 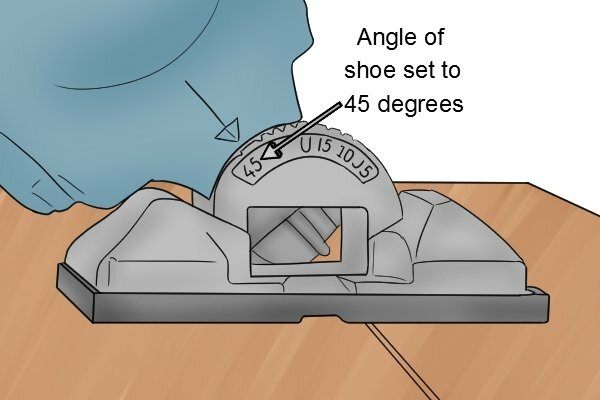 When you are happy that the shoe is at the correct angle, hold it in position and tighten the screws you loosened earlier to secure it in place. 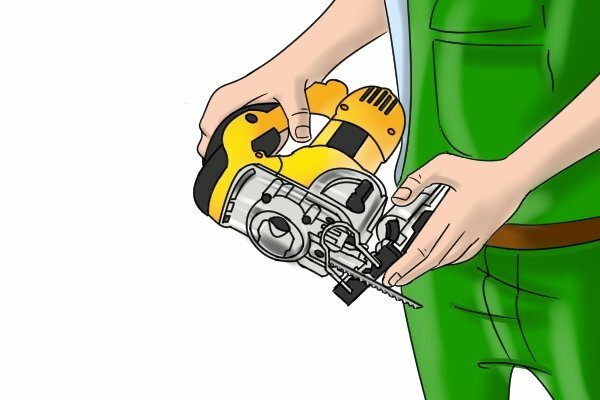 Pull the shoe adjustment lever away from the jigsaw to release the shoe. Tilt the shoe until it is at the required angle. This will be indicated on the bevel scale usually found on or directly underneath the base of the jigsaw. 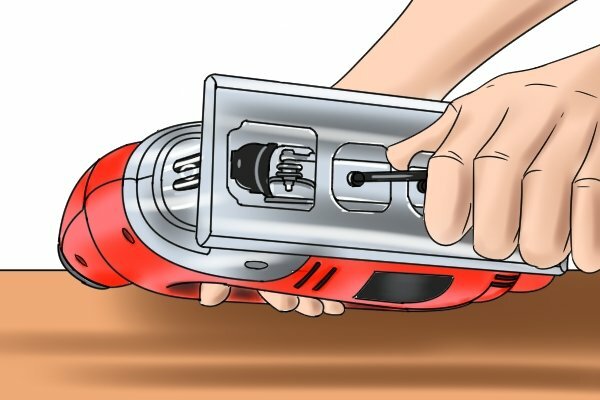 Whilst holding the shoe at your chosen angle, re-engage the shoe adjustment lever to fasten the base in place.